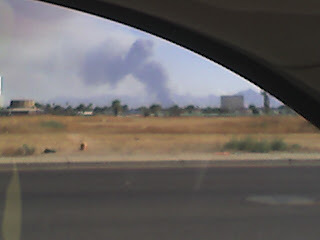 This smoke is from a wildfire that has been burning in the valley for about a week. It was started by lightning. 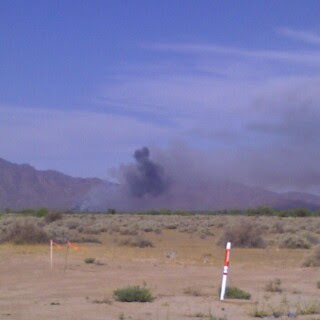 The smoke could be seen for miles. The reporter on the traffic helicopter for a local radio station actually saw the lightning strike and the fire start, but by the time the firefighters arrived it was out of control. It may rain tonight or tomorrow so hopefully they can get it contained. Thus far it has burned 7000 acres and hundreds of homes have been evacuated.